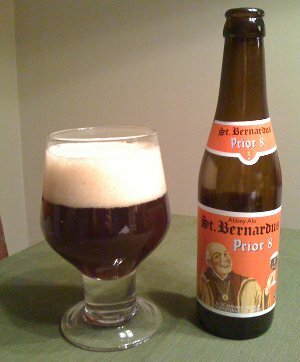 Beer Nerd Details: 6.7% ABV bottled (330 ml). Drank from a goblet. Beer Nerd Details: 8% ABV bottled (330 ml). Drank from a goblet. Well, what do you know? It turns out that these are technically the first dubbel-style beers I've reviewed on this blog. More are certainly coming! 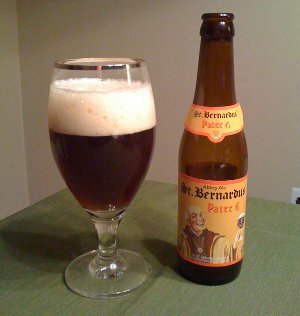 I've also got two St. Bernardus beers left from my variety pack, both tripels, so look for another double feature post soon. This page contains a single entry by Mark published on March 3, 2011 8:36 PM. Double Feature: Yet More IPAs was the previous entry in this blog. The Session #49: Regular Beer - A Screenplay is the next entry in this blog.